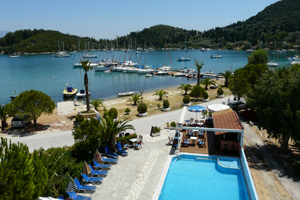 Welcome to Oscar Hotel on Lefkada Island. 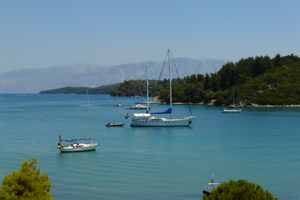 Oscar Hotel is located in Nidri the famous cosmopolitan village of Lefkada. This delightful family run hotel is well equipped and offers stunning views due to its ideal location on the waterfront of Nidri and is only 200m from the centre of the resort - a fantastic base for exploring everything that the island of Lefkas has to offer. Nidri beach and its many watersprits are only 450m away. The Oscar hotel benefits from a swimming pool, pool bar and a not-to-be-missed restaurant offering home cooked meals for lunch or dinner. Our Opinion: "A high standard of accommodation is offered by the warm and friendly owners of this family run hotel. Twin bedded rooms (1/2 & 1/3 persons) with air conditioning , WC, hairdryer, mini fridge, private bathroom with shower, balcony or terrace with inland views.